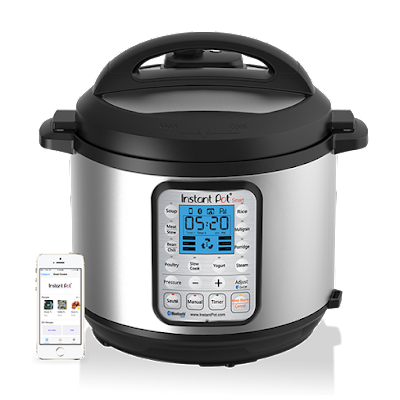 Instant Pot is the Smart Multi-Use, Programmable Pressure Cooker designed by Canadians with the objective of being Convenient, Dependable & Safe. It speeds up cooking by 2~6 times using up to 70% less energy, and, above all, produces nutritious healthy food in a convenient and consistent fashion. If you live a fast-paced, healthy, and eco-friendly lifestyle Instant Pot is designed for you. Built with the latest technology, the microprocessor monitors pressure, temperature, keeps time, and adjusts heating intensity and duration to achieve your desired results every time.